It was a cold, dreary day on the Scottish Highlands. The sky, bearing the weight of endless grey clouds, sat atop a vast rolling sea of emerald and forest-green shrubs, which stretched as far as the eye could see. The wind, blistering in its strength, whistled across my face as I trekked steadily over the deserted slopes. I was searching for Stah, a prodigious Scotsman with enormous reputation, and had hoped to make contact before Hogmanay. The dusty trail I was following, like my hairline, gradually began to thin out, as it fed into a nearby sleepy village. It was here that I discovered Stah’s dwelling, an old stone house overlooking the lake, and I arrived promptly with a belly full of haggis. I’m glad you are my new interviewee. 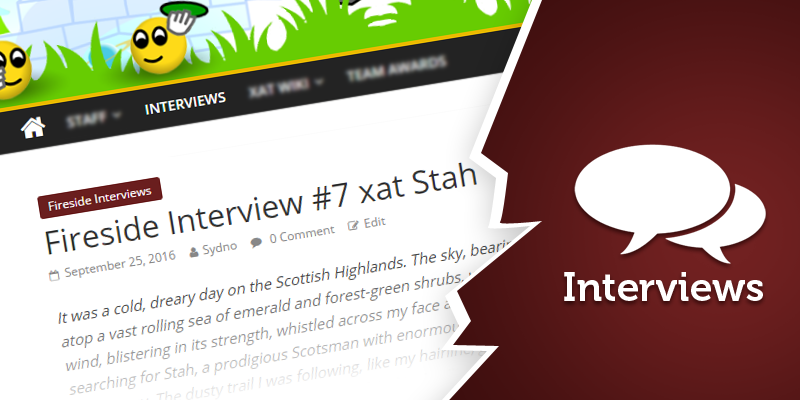 xat users know you for many different reasons, yet I’m pretty sure they will discover a lot of new stories in this interview. What’s your real name, how old are you and what are you studying? My real name is Daniel and I am 16 years old (17 in December). I’m still in high school but I also go to college part time to study computer science. I would probably choose these three words: mature, funny and sincere. I assume you are passionate about computer science, did you already participate into coding projects on xat? I am definitely passionate about computer science, and I have participated in some projects that have been related to xat. In 2013, I was the owner of a bot provider called “EXTBots” (External Bots) which actually gained a lot of support during the time is was available, however it was a mess I threw together some code and expected it to work flawlessly, but a few users introduced me to the “dangers” of web developing and web applications with a few… bugs. I also worked with xattools (owned by Jordan, and then Paul) and created numerous tools for the site. I also helped Paul and others with xatwebs. I also contributed to the in development OceanProject bot. 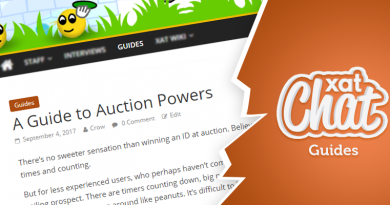 I have been on xat since 2010 and I discovered through a WordPress blog that was based around a game called “Bin Weevils”, where it would tell you where to find things and how to earn “mulch” (in game money). They also had a xat chat and that’s where I found xat. When I saw the chat on the blog, I thought it was a pretty cool widget and I wanted one for myself, and I told all of my friends about my new widget I had on my own WordPress site. I had no clue about the whole xat universe until I needed help and clicked the “Help” icon at the top right and that’s how I found out about registering, powers and so on. My global impression of xat since 2010 has changed for sure, but I think it’s for the better. Although xat’s popularity has died down, the community is still as amazing as ever and meeting new people from all over the world and from different cultures is something I love. Do you have an funny fact to tell on xat? I think my “full xat name” is a (mildly) funny. “Stahpizzaa” is just a name from a name generator, however people called me “Stah” so I shortened it, and literally years later I realised that the name generator just flipped the word “Hats” – so my name is hats backwards. I think 2013 was probably the best year for me on xat. I used to go on another chat and it was honestly going down hill so fast with the staff members becoming abusive and everyone leaving and the new members only came to troll and the staff let it happen. So, I decided to find a new chat and I started hanging out at Help and I instantly made friends there and I helped out a bit and got member at the end of January, so Help become my “xat home”. And there I stay. What would you consider your best memory on xat? I have a few favourites. I remember on another chat that I went to when I was only 10 or 11 we used to go on Tinychat and all go on cam and mic and just… act like children. Thinking about it, I really miss the people who used that chat back then. I think Help contains my best memories, and it’s nothing to do with ranks!! I remember a few years ago that Brandon, Martin, Jordan and I (and maybe others) had these “music nights” at Help really late at night / early in the morning where we would all listen to music and type the lyrics and honestly it was the funniest thing ever. Another “cute” memory would be Brandon making dunce agreements with all of the staff members when he was moderator, agreeing that we would not dunce and if dunced, undunce each other. Apart from a few, I love xat’s community. We are very diverse and very different and it’s always nice to meet new people from everywhere and anywhere. I trust Rida the most, my fellow Scot. She’s amazing, and honestly the most a real person I know and we’ve been friends for years and I love her so much!! We also met up in August and had an amazing time. You seem close to her, what happened when you met? 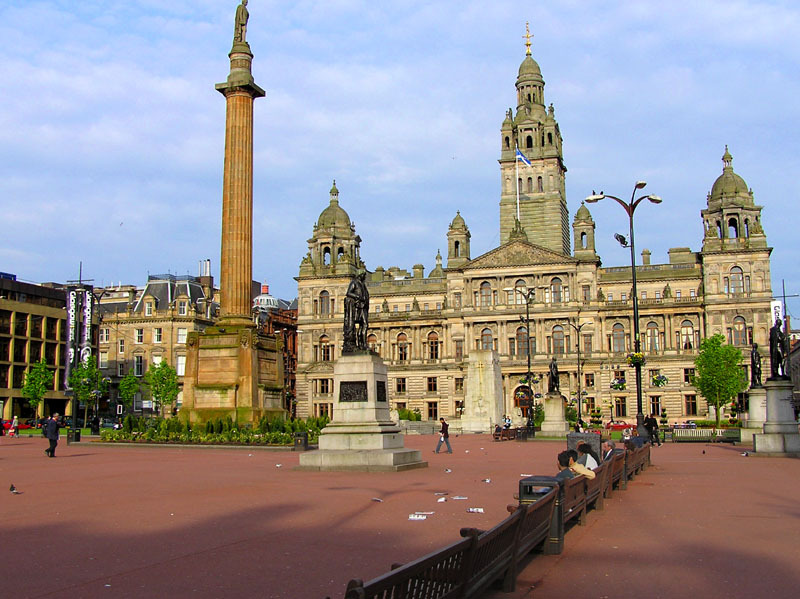 There’s two train stations in Glasgow, Queen Street and Central. Central is closer to Rida, so I decided I would go there HOWEVER the train didn’t even go there!! So I ended up in some random part of Glasgow that wasn’t near where I was suppose to be. So, I had to ask someone what to do… luckily they just put me on the next train back to Queen Street and Rida had to walk to the other station (sorry). We were on the phone as I came out of the station and I couldn’t see her and I was like “OK, where are you?” and I was like I can see this big tall thing and shes like WTH are you talking about (reference) and anyway when we found each other I gave her a massive hug. We joined the street parade and basically danced and sang in the street to the music coming the float thing in front of us. It was so fun. After the parade was done, we went to the festival which was pretty cool, we had some chips and curry and sat and talked for a while and then we went to the stage an did some more singing and dancing to the acts that were there. Not really sure, but I don’t have any plans of leaving just yet. Let’s get into your interest on xat. What do you think about the xat forum, as you’re with the most reputation at the moment? I have always loved the forum, however it’s not as popular as I wish it would be. It’s an amazing place for discussion and idea sharing and I just wish it was advertised more and used more. What is your favourite form of support? In general, Help is my favourite form of support as we can solve simple problems quickly and efficiently and also direct users on where to go from their current standing point (i.e. to open a ticket, PM a volunteer). You are a help moderator, a wiki editor and now a xat contributor, what’s your main role on xat? I would say my main role is the combination of all of my positions on xat: to help it become a better place for all. Whether it be by helping users with simple queries; by making sure the official resources are kept up to date; and providing my opinion on matters of xat’s future. More precisely, in order to talk about one of your new responsibility. What do you think of the xat wiki? I think the wiki is the most useful resource on xat, and it’s a wonderful thing as it contains the work of many many people all joined together to reach a common goal. I think in some places the wiki lacks information, and some articles follow weird layouts (such as bullet pointing everything) if it was simply a delete and save job I would definitely change them. How would you describe the wiki team from inside? I appreciate the wiki team a lot, especially the editing team with how creative they can be and how quick they can come up with ideas. I do wish that translators were more active within our discussions, though. Was it a goal for you to become a wiki editor? How did that happen? Honestly, it was never a goal to become an actual editor, due to the fact I was almost certain it was impossible for me to be added, but that never stopped me from finding stuff to improve on the wiki as I was genuinely doing it because I was bored. What do you think about Chat, as you are currently the main of the month? This is my first time being appointed as a manager of an official chat, and honestly it’s different than I expected. When I became main, people instantly PC’d me asking to be member, mod, owner and even for the password! I had to turn quite a few users away as I realised the previous main was a little lenient on the “don’t ask for ranks” rule. As for the Chat (haha!) itself, it has a nice little community surrounding it and I am happy to lead it for a month. Let me ask you a few questions on the shadow part of your xat life. For obvious reasons we won’t talk about what you did exactly yet about its consequences. Were you considered a bad user at a time? Yes, I was definitely treated like a “bad user” for a long period of time. Did it stop you from reaching goals on xat? I suppose, in an indirect way. For example, if I was never demoted maybe I found my interest the wiki sooner and the process would have been much smoother than it was. How do you think you redeemed yourself? I stayed off xat for a few months after everything “went down” and as I was banned on Help, I got unbanned as soon as possible and after a while began to re-earn my rank. I think with everyone supporting me and knowing that even doing what happened, I had good intentions and I had matured after all this time helped me prove that I was willing to help xat out, despite the stupid things that I did when i was much younger. How would you prevent young users attracted by the dark side of the xat force from acting in a bad way? I don’t really think I am the person to answer this, as I never “joined the dark side” as it were. I wanted to help xat before and after being labelled as bad and have been helping ever since. Do you have any last words to end this interview, any special message to xat users?